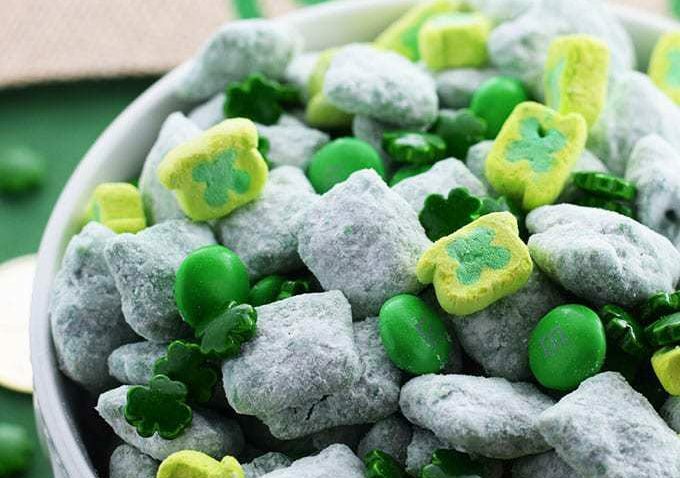 St. Patrick’s Day Lucky Charms Treats are gooey, buttery, marshmallow treats made with lots of luck – Lucky Charms cereal that is – just in time for St. Paddy’s day fun! 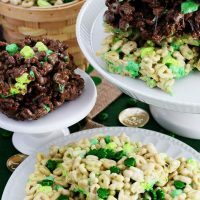 With St. Patrick’s Day coming up I couldn’t resist making these Lucky Charms Treats. 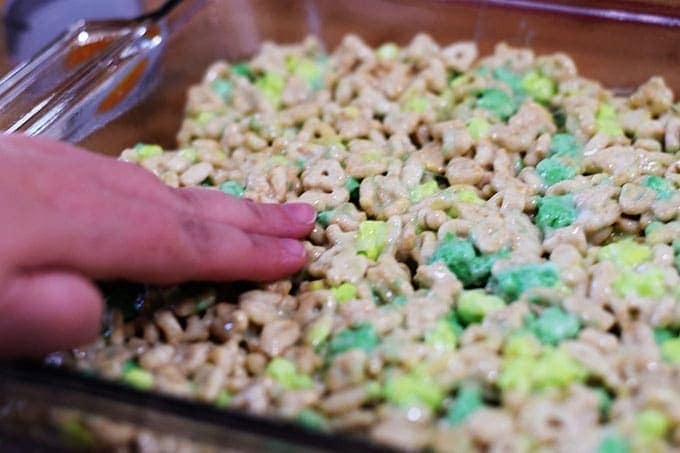 They are made just like Rice Crispy Treats but with the St. Patrick’s Day Lucky Charms Cereal. They are green, sweet, and lots of fun to eat. This is a great treat to make with the kids. They can help you stir and then press the gooey treat into your pan. Or if you are like me and don’t have little ones in the house! Just pretend you are a kid again. What is more fun than getting those hands into this gooeyness?? Who can resist this gooey fun – right? I know I can’t!! A little good clean fun for St. Patty’s Day never hurt anyone!! What you need for Lucky Charms Treats! 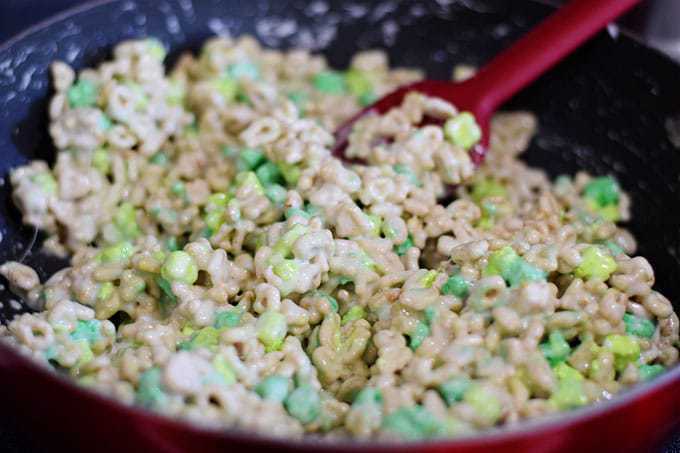 How to make Lucky Charms Treats! Step 1. On the stove top on medium heat melt the butter. Step 2. Add in the marshmallows. Stir until melted, about minute or two. Step 3. Then add cereal and stir until well combined. Step 4. Once you get it all together. 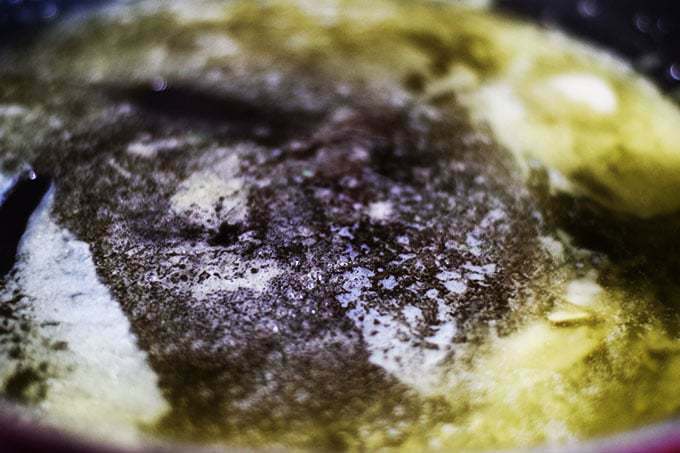 Press into a 9 X 13 greased pan. 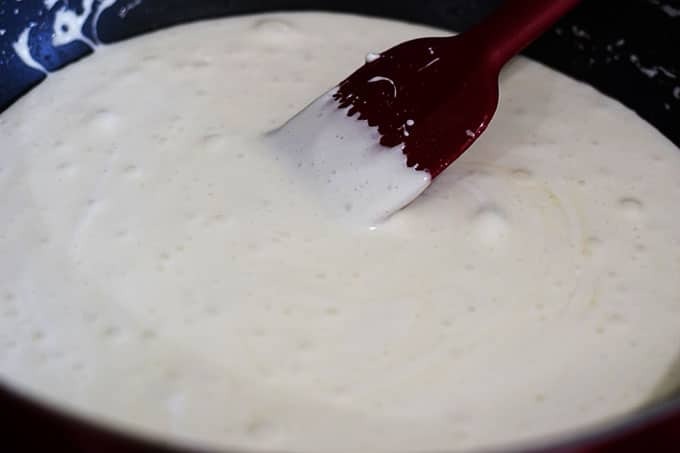 Tip – spray fingers with cooking spray to press it in. This will make your life so much easier!! Now tell me if you are hardheaded and tried it without – lol! Let it set for 10 minutes or so and then cut into squares. 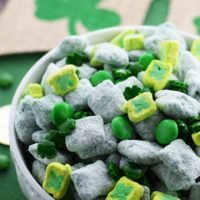 Such an easy and festive treat to make for St Patrick’s Day! 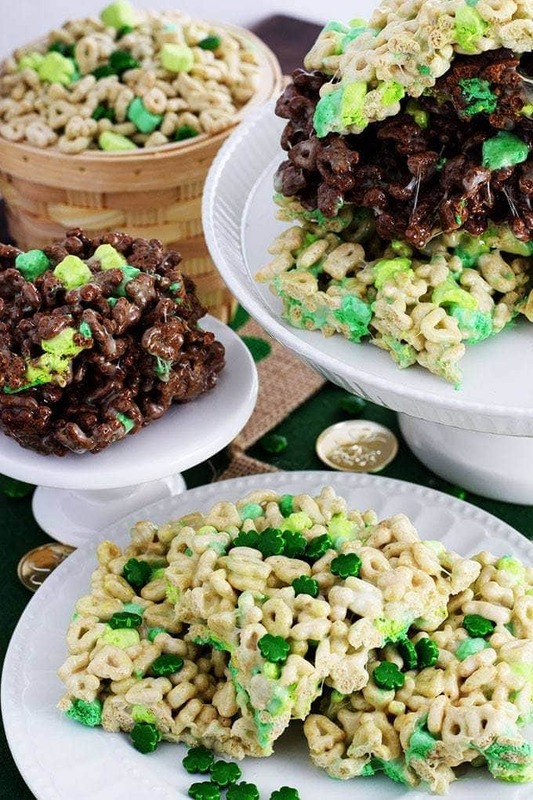 Just like Rice Crispy Treats but using the St Patrick’s Day regular and chocolate varieties of Luck Charm’s Cereal! Looking for another St Paddy’s Day Treat? Please Pin – Lucky Charms Treats – for later! Come on over and be SOCIAL! I love to hear from you! 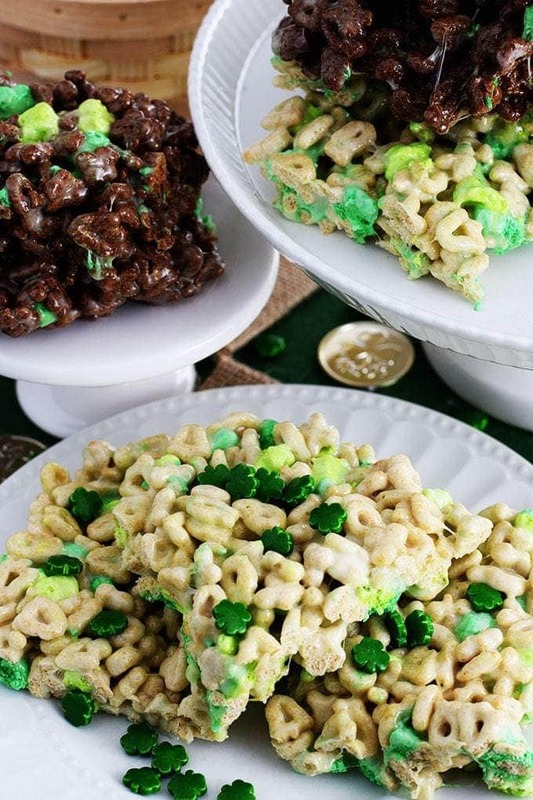 St. Patrick's Day Lucky Charms Treats are gooey, buttery, marshmallow treats made with lots of luck - Lucky Charms cereal that is - just in time for St. Paddy's day fun! On medium heat on stovetop melt butter. 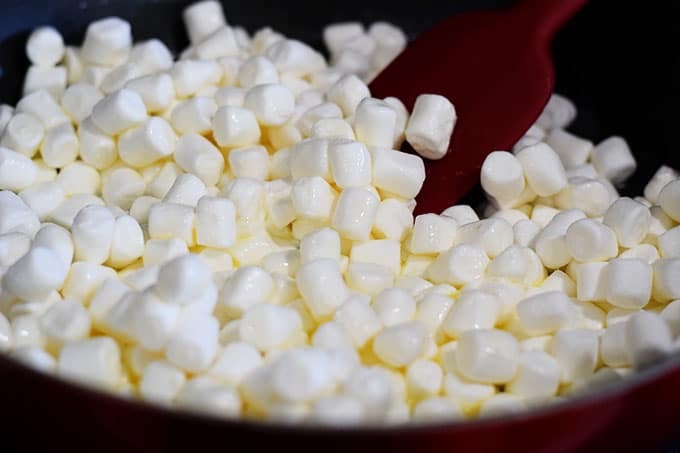 Add bag of marshmallows, stirring until melted. Stir another minute or two after melted. Add cereal and combine well. Pour mixture in greased 9 X 13 pan. Spray fingers with cooking spray and press into pan. You can use 4 tblsp of butter. 6 gives a more buttery and gooey texture. Meal Plan Monday on : Meal Plan Monday , Weekend Potluck & Home Matters Link Party! I love them too! I love this recipe becuase you can always change out the cereal too! Thank you and Enjoy! Cereal treats are such a cool idea! I love this! Yes they are! So easy and fun! I’m a sucker for rice krispie treats and you have me drooling over these! Thank you! I am too this are fun for a change! wow this takes me back to my childhood, love these as a treat and that they only take 15 mins to make! I love food that brings back memories! They are yummy and easy to make! I used to love treating myself to a bowl of lucky charms when I was in high school. We had it in our cafeteria. I never would have thought to use it this way. You’re so creative. So festive – perfect for today! Thanks! I loved that I found them in St Patrick’s Day Colors!